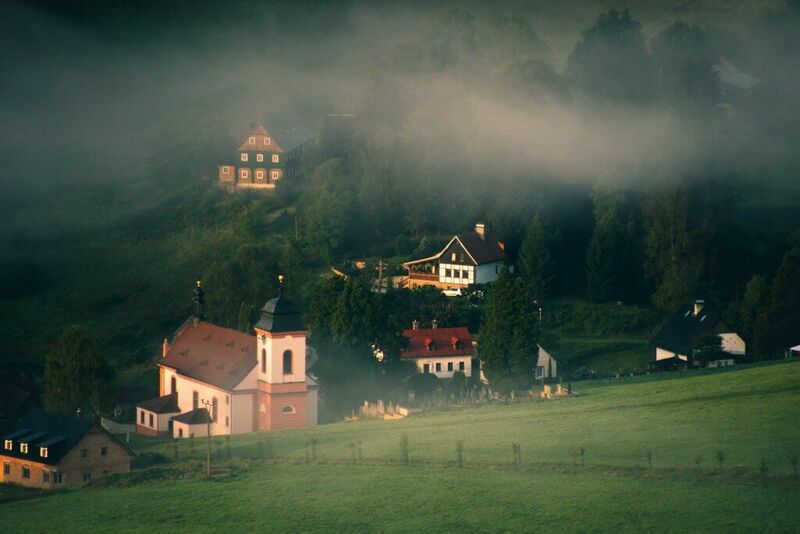 An inspired Swiss painter came to this natural mecca in the Kingdom of Bohemia and was reminded of home. 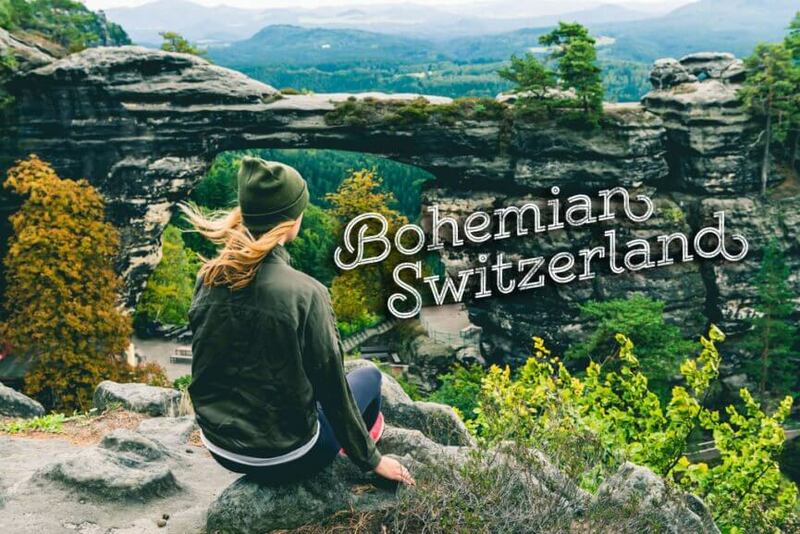 Since then, Bohemian Switzerland has been the name of this gorgeous National Park full of natural wonders and wild beauty. Craggy sandstone rock walls with a carpet of green moss jutting out of the lush green forests, canyons, and hills make this National Park incredibly scenic and picture perfect. You feel like you see every shade of green on the flora and fauna. 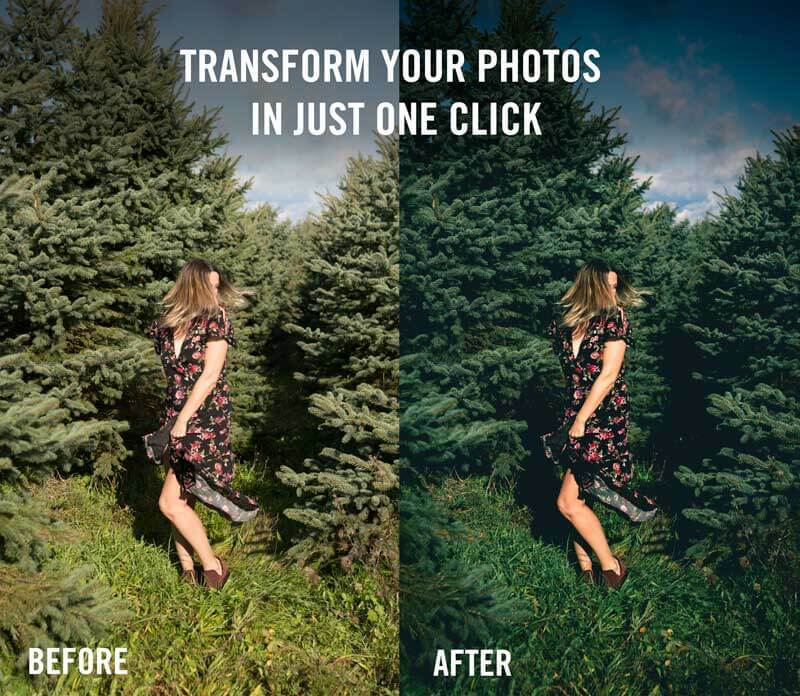 It is almost as if the plants and trees here came straight out of the rainforest, jungle, or tropical climate. From the floor up to the sky you see green, green, and more green. It’s absolutely breathtaking and calming. 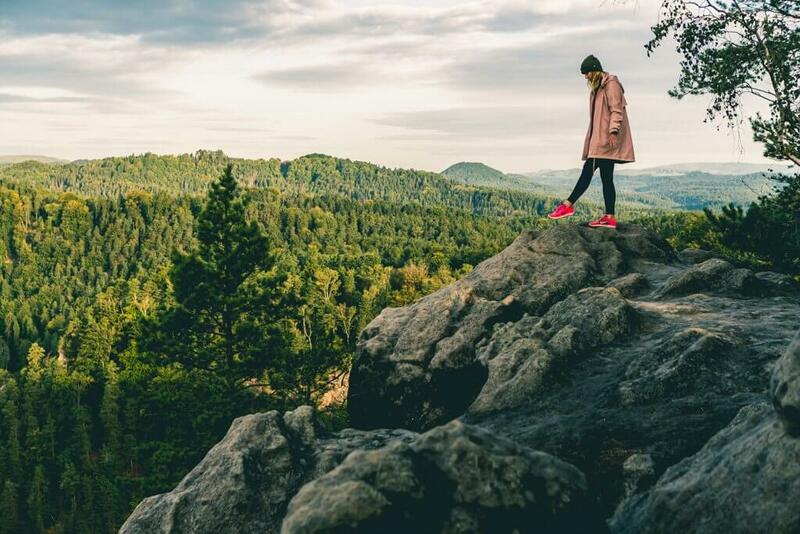 You can spend days exploring the natural beauty of Czech’s Bohemian Switzerland and Germany’s Saxon Switzerland National Parks, the two are a part of the larger region known as the Elbe Sandstones. 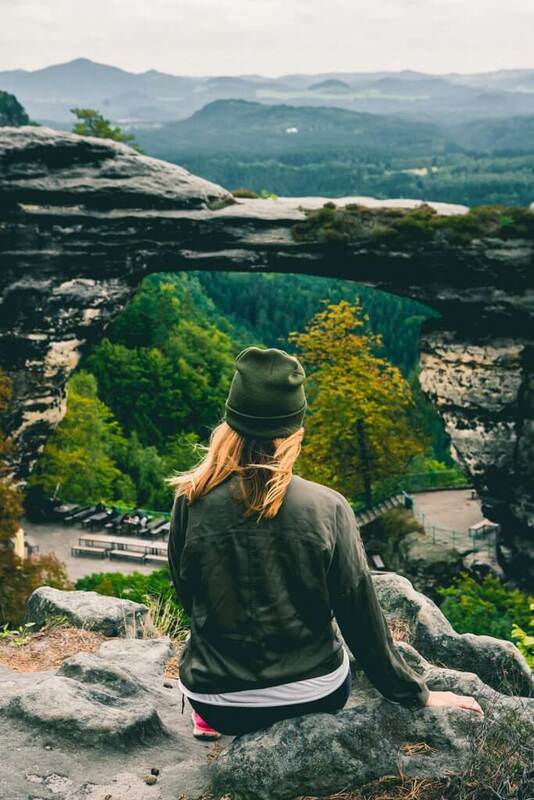 We were lucky enough to spend three days here experiencing the best spots Bohemian Switzerland National Park has to offer. 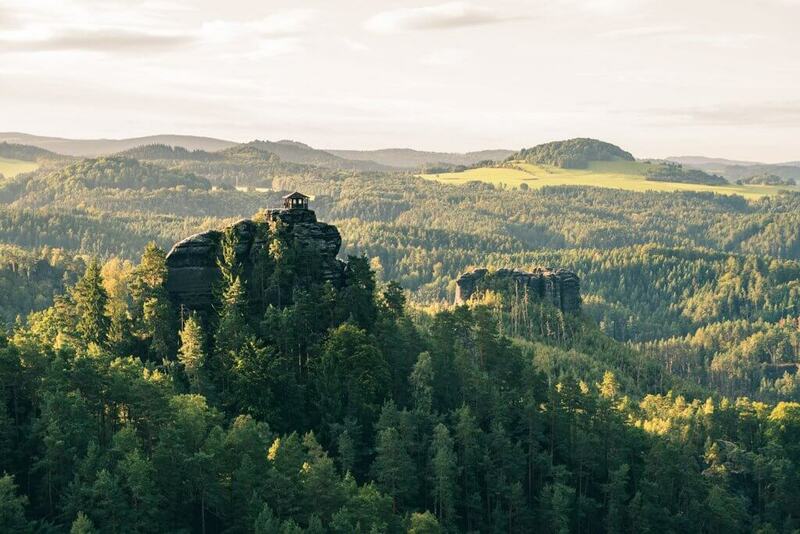 Here are some of the best spots to explore in Bohemian Switzerland National Park. Pravcicka Gate is a must see while visiting Bohemian Switzerland National Park. Easily the most iconic spot in the National Park and most photographed. It’s no wonder why as the sandstone arch here is Europe’s largest and with the adorable rustic style lodge looking restaurant the entire scene is worthy of being a mural or a postcard. 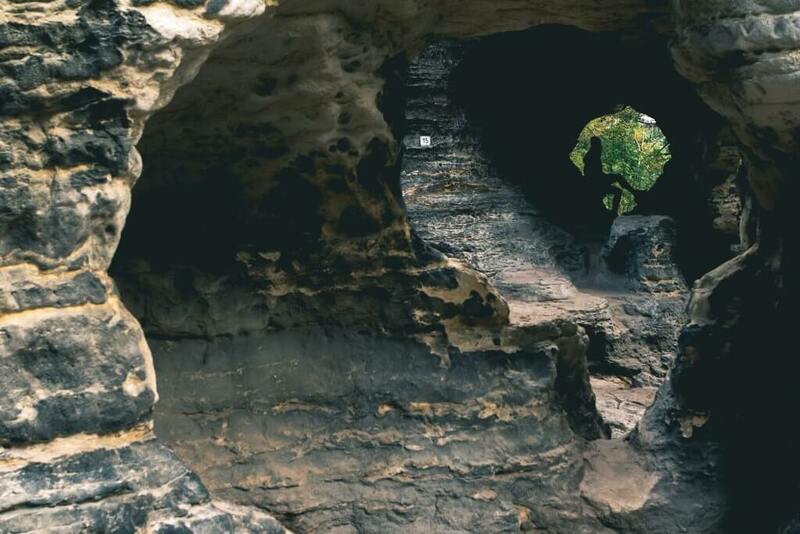 The archway stands 52 feet high and 26 feet wide and offers stunning views of the rock formations, mountains, and forests nearby on either side. 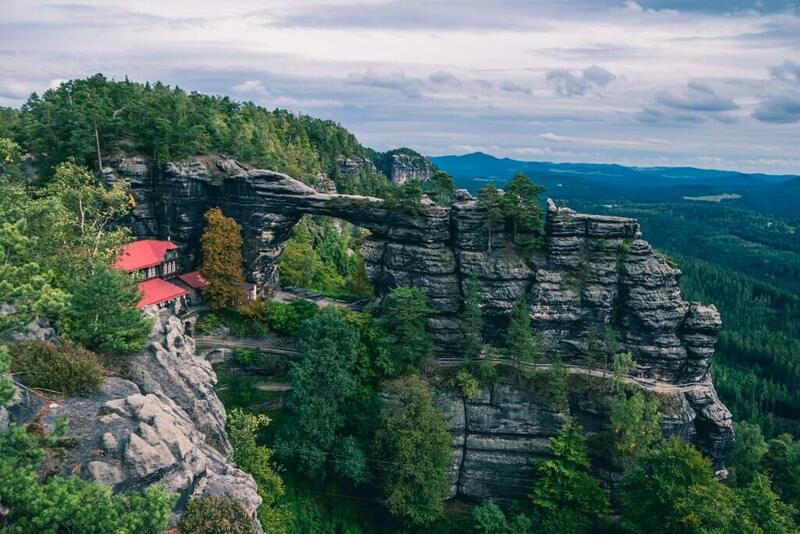 You can check out more beautiful photos of Bohemian Switzerland in the gallery on the top floor of the restaurant. Be sure to walk up to the viewpoint, it’s about a 5-minute walk up some stairs behind the restaurant for the best photo spot. Afterwards, reward yourself with a beer below the arch. 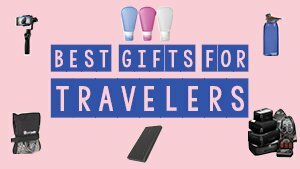 This is a site you won’t forget, plus they randomly have a great free wifi connection here! Technically in Saxon Switzerland on the German side, but easy enough to visit from the Czech side and totally worth it. Scott describes the setting here as a majestic land where the dinosaurs roam. The rock formations seem like they are from another world and another time. 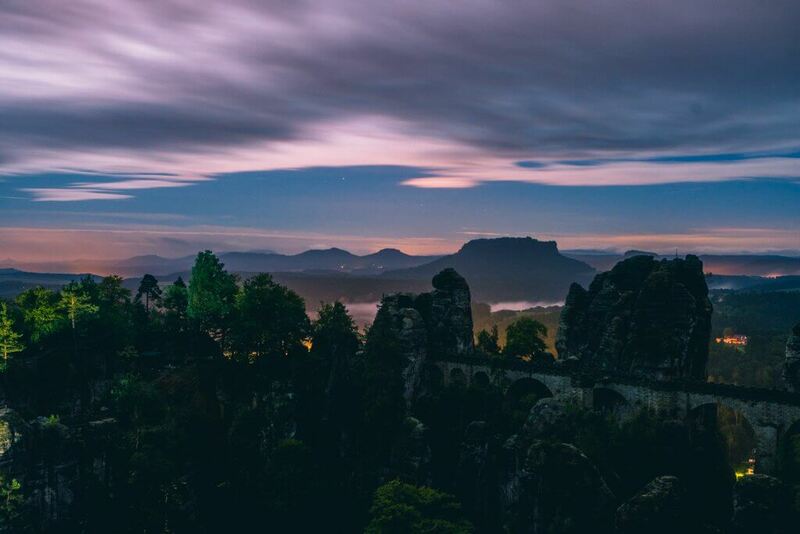 With a beautiful bridge that goes through the rock formations that seem to pierce the sky and even a fortress in the distance. This viewpoint was unforgettable. 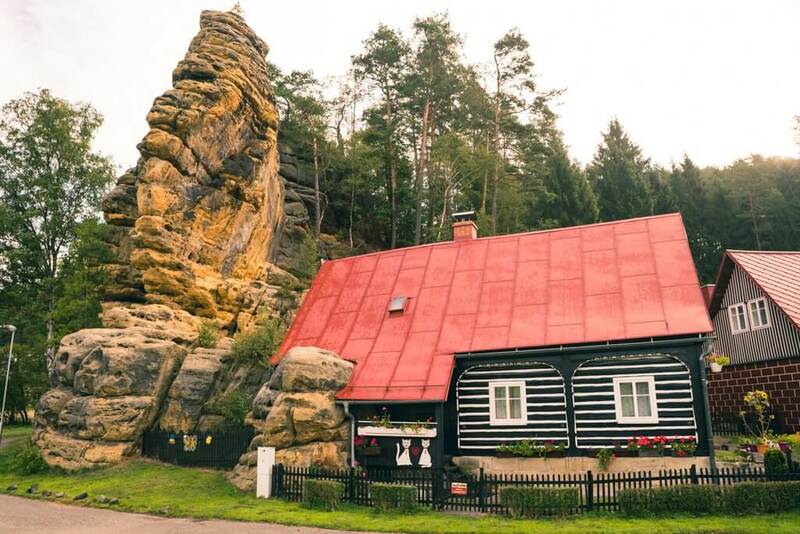 One of the lesser known gems in Bohemian Switzerland, but not for long. Once people realize this viewpoint exists it will see more visitors. We were guided here by Marek, a local and our tour guide from Northern Hikes. 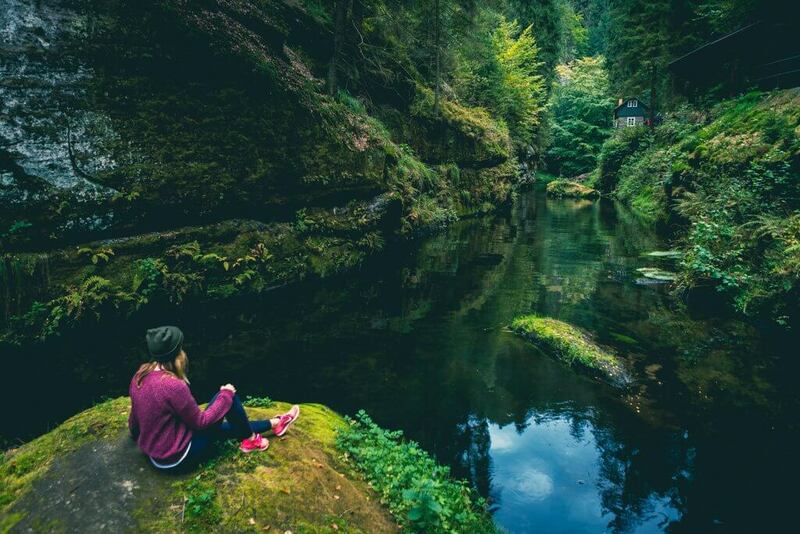 This is one of his favorite spots in Bohemian Switzerland and it’s no wonder why. The hike up is a little more challenging than some of the others with approximately 600 uneven forest steps, patches of sand pathways, and a steady incline. However, it is totally doable and only took us around 45 minutes going at a pretty quick pace. The view is rewarding and we would totally do this again. There are three viewpoints, we trekked up to the second one overlooking the first viewpoint with a small cabin, forests, pastures, and a charming small village. We experienced the sunrise here and it was chilly but magical. If you can’t make a sunrise happen, this is also a great viewing spot for a sunset or even mid day. You can’t go wrong and the views are worth it. 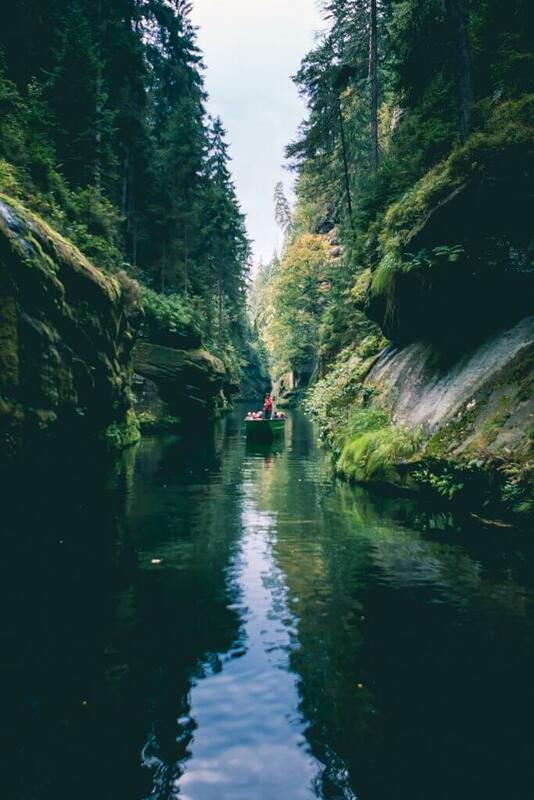 The gorge in Bohemian Switzerland is awe inspiring and a must during your trip here. We both were taken back by the intense beauty walking and floating through the gorge via boat. The trail is very easy and flat, so this trail is suitable for anyone, even young kids and the elderly. 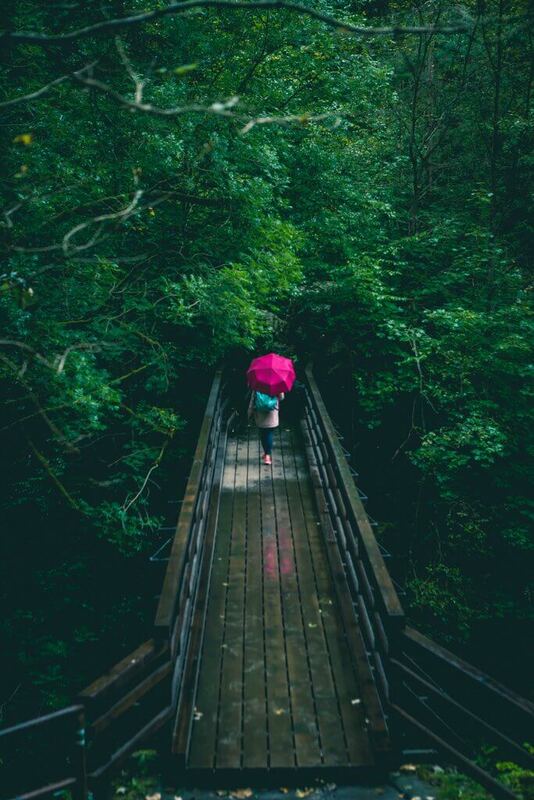 Walk along the peaceful trail with the sound of the trickling river by your side. After a 15 minute walk, you will reach the boating platform that you have to take for a ride. A guide will take you on the boat and describe the different rock formations as you pass, this is mostly them using their imagination and pointing out different animals and characters they think the rocks resemble. 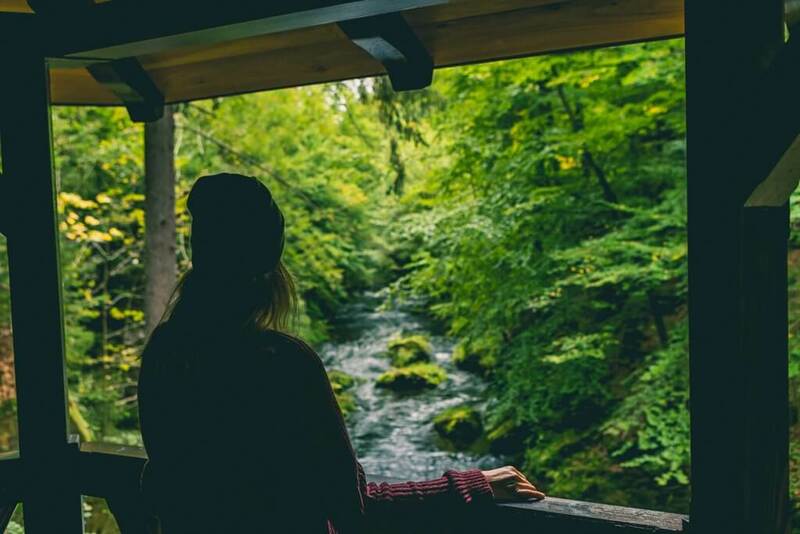 After a 30 minute ride, you will arrive at the most picturesque spot in the gorge, the small cabin. This spot is pulled straight out of a storybook. We were there on an autumn day and halfway through getting our photos the chimney starting puffing out smoke bringing the whole storybook scene to life even more. There is also a restaurant that sells snacks and refreshments, including local beer! After a bit of a refresher, you can continue to walk along the gorge, visit a village, and if you want to go even further get on another boat that takes you deeper into the gorge for more enchanting scenery. Walking through the maze of towering sandstone rock formations here feels like something out of a fantasy. Well, it sort of actually is. This is one of the filming locations for the Chronicles of Narnia! Imagine these gorgeous rocks with a blanket of snow and you’re basically at the set of the movie. This place was enchanting and seemed to get better and better as we explored more of the nooks and crannies through the labyrinth of rocks. Climb up the stone steps and reach the top of the rocks for an impressive vista overlooking the surrounding area. If you’re lucky you may catch a rainbow like us! After you’ve worked up an appetite from exploring check out the restaurant in the climber’s shop at the entrance, they have great dishes to try. We loved the goat cheese and gnocchi on the nibbles menu. Another incredible viewpoint offering fantastic panoramic views can be seen from Ruzova Vyhlidka or Elbe Sandstone Canyon viewpoint. 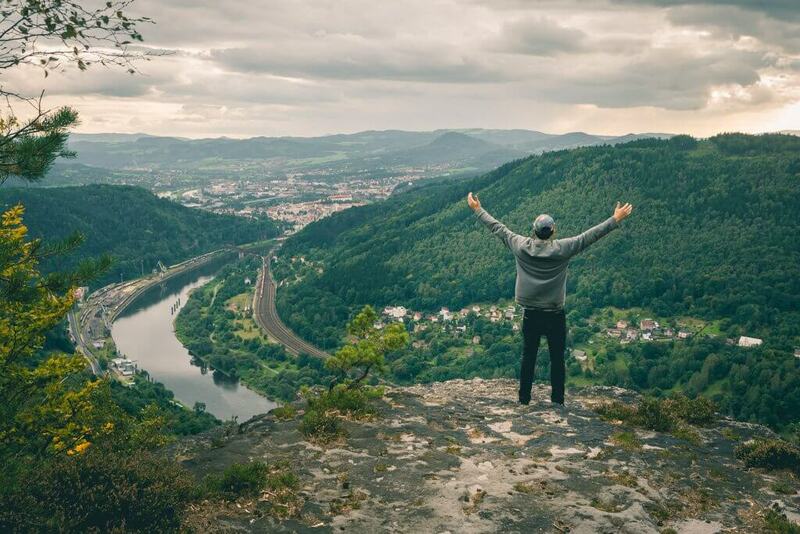 The walk is quick and easy offering great views overlooking the city of Decin in the distance and the Elbe River. You also get to see more of the craggy rock formations jutting out of the cliffside’s lush forest. We found the edge of these rocks to resemble a giant side profile of a penguin. We were inspired by our boat captain’s imagination through the gorge! 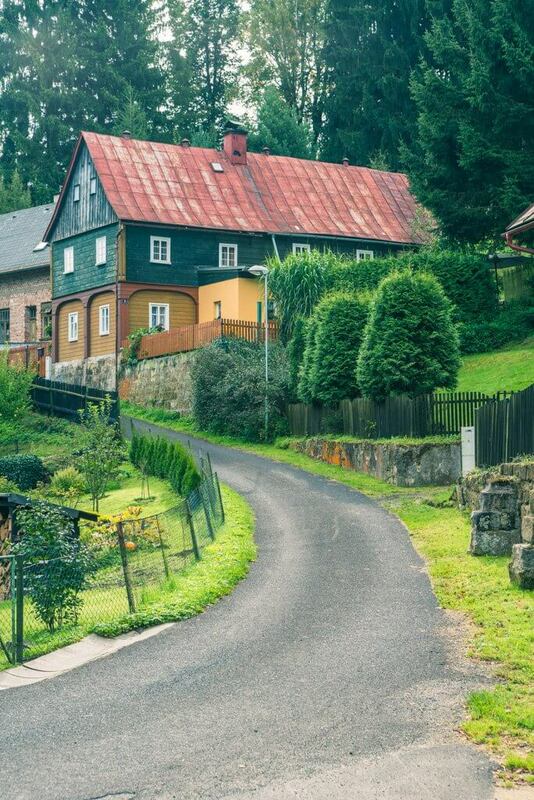 Something you’ll notice as you drive through the rural roads of Bohemian Switzerland are the villages filled with adorable distinctive homes. These folk style homes are known in this area and have a rustic charm about them. We couldn’t help but fall in love with the cute countryside cottages and imagine how peaceful life would be living here surrounded by so much nature and beauty. 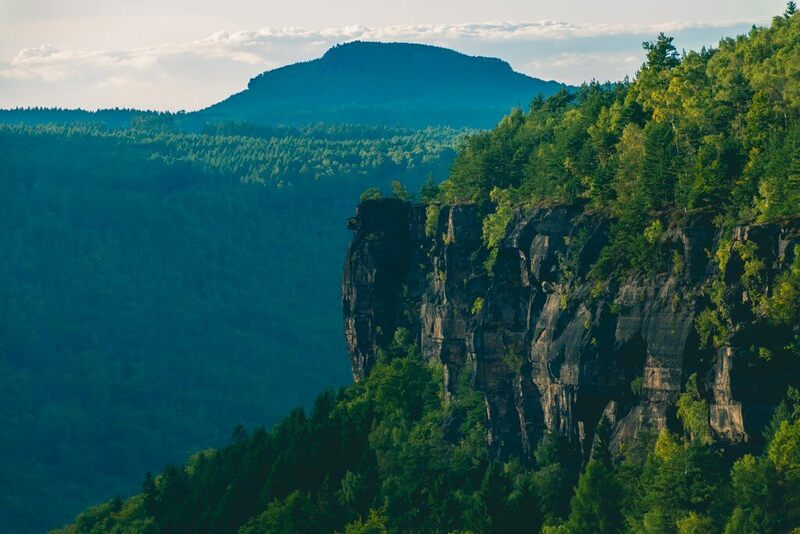 What’s great about Bohemian Switzerland National Park is that it can easily be visited on a day trip with Northern Hikes from Prague. You will be picked up at your hotel and returned the same evening. 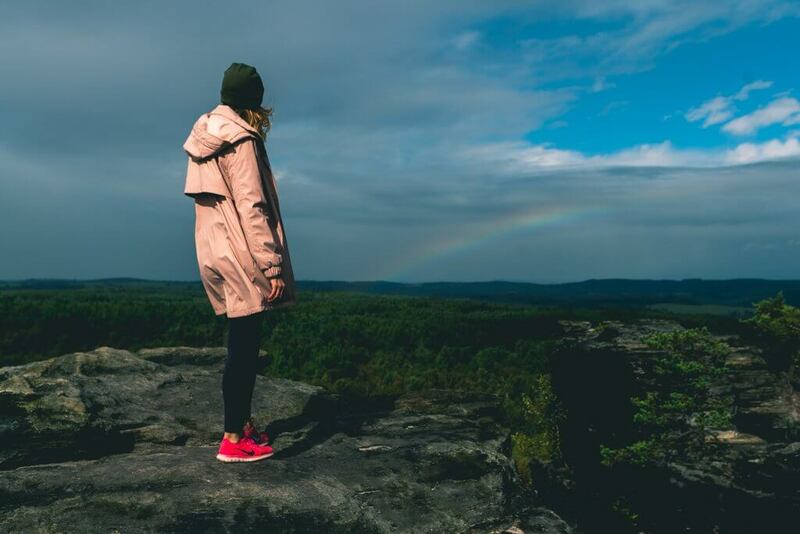 There are different tours and programs available seasonally and Northern Hikes provides any special gear or rain gear you may need for different weather conditions, so your trip will go on rain or shine. They cater everyone by offering an easier site seeing tour with flat walking or a more of an advanced program featuring hiking to viewpoints and more challenging treks. 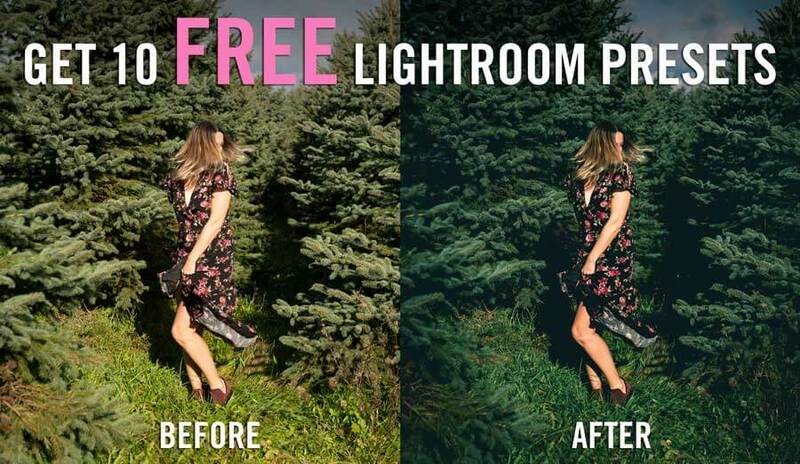 Either way, you can’t go wrong with what you choose. Every place we went to was incredibly beautiful. Also, if you want to do a private tour like we did it is possible. 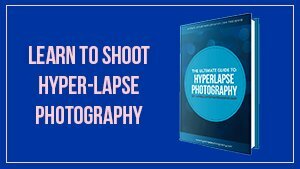 Contact Northern Hikes in advance to set something up. If you decide to spend a few days here like we did, you can’t miss Na Stodolci. 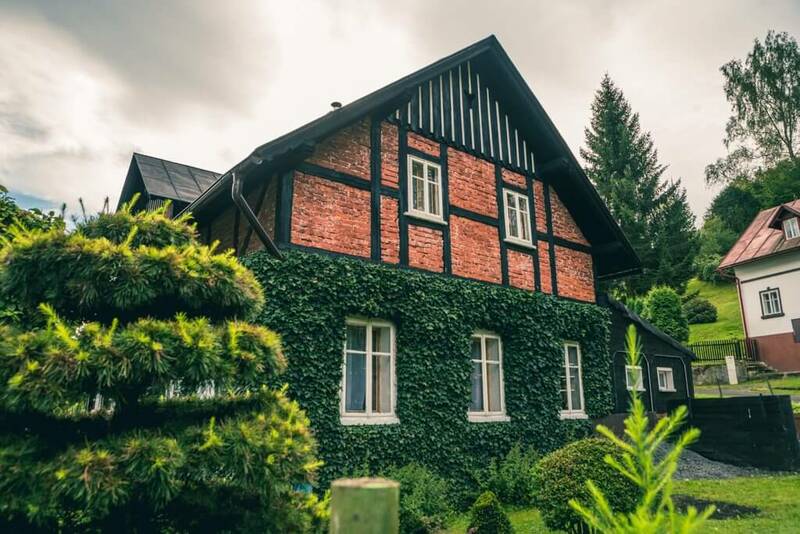 This countryside pension is not only a cozy, rustic place to stay but they offer amazing food in their restaurant. This spot is actually a favorite of the locals, we have been told by several locals in the area this is their favorite restaurant and has gained fame over the years because of their outstanding cuisine. Their concept is farm to table, they literally grow their food on the property of the restaurant. 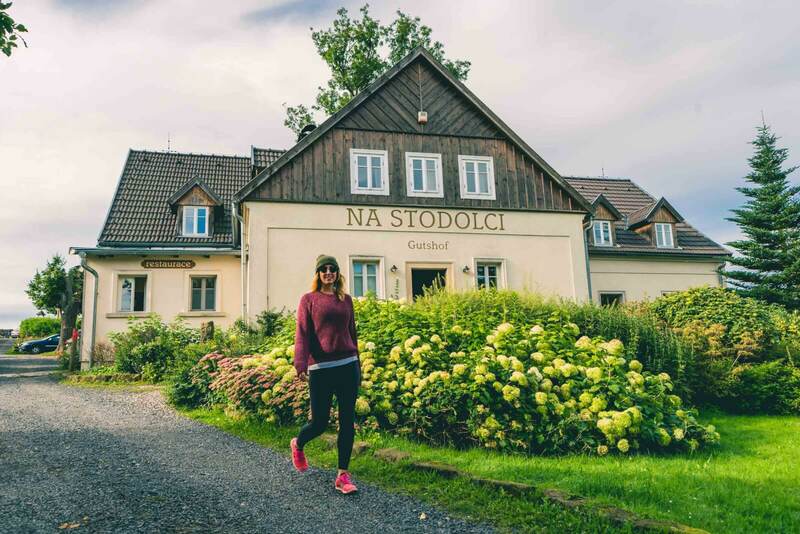 This was such an interesting place to stay because just outside the door you had animals and a farm that give you even more of a feeling that you are removed from the city and experiencing a true countryside experience. 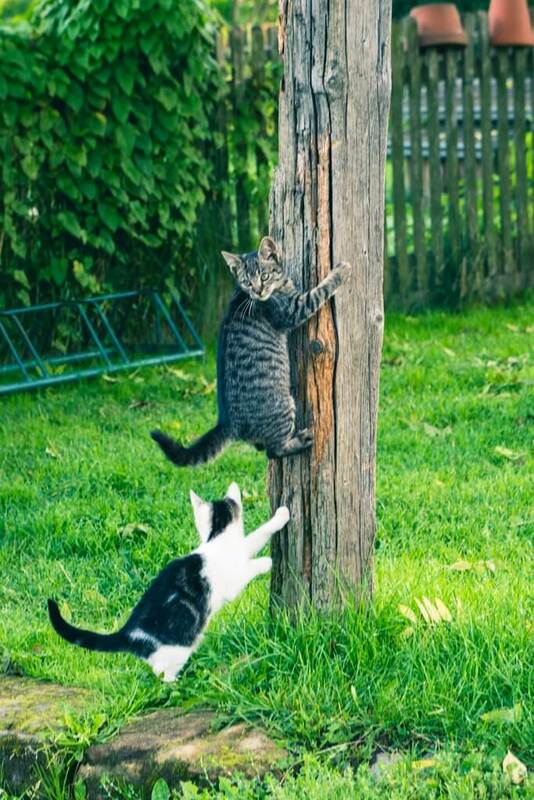 I especially loved the playful cats they had around as well. We found Na Stodolci thanks to Amazing Places. 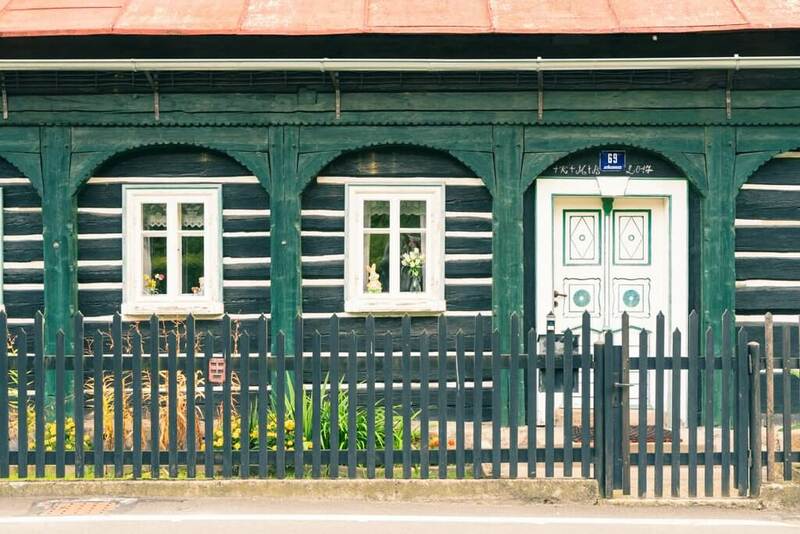 This local website helps travelers find interesting accommodation and unique experiences during your travels through the Czech Republic. We recommend trying them out during your stay. We have had back to back great experiences with them. Check out our entire experience through our vlog below! And don’t forget to subscribe to our YouTube channel for more videos! 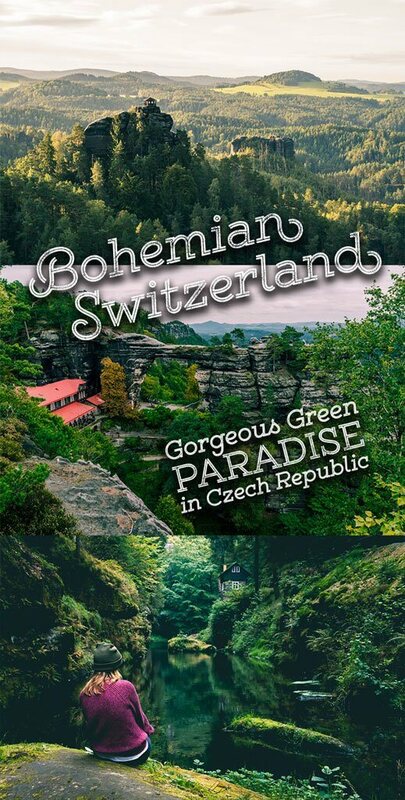 If you found Bohemian Switzerland to be beautiful, be sure to check out our experience at Bohemian Paradise – another one of Czech Republic’s natural wonders. 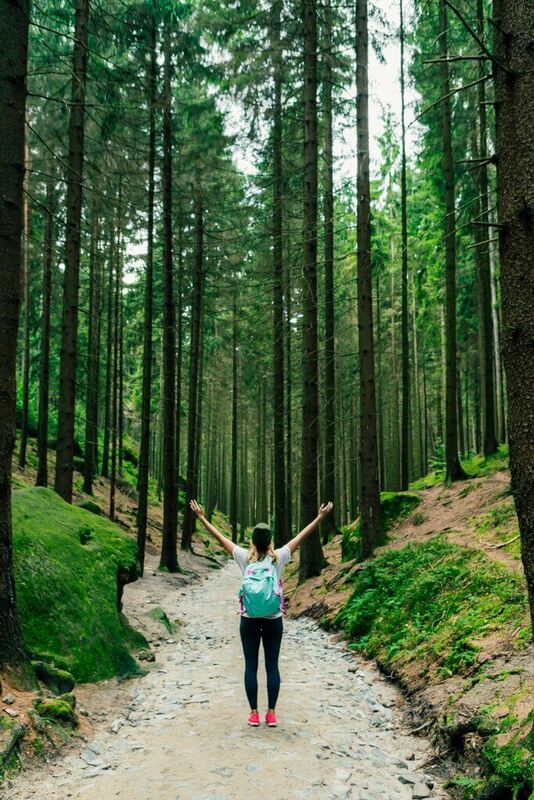 Disclaimer: Our trip to Bohemian Switzerland was in partnership with Northern Hikes and Czech Tourism. However, as always, all opinions and photos are our own.